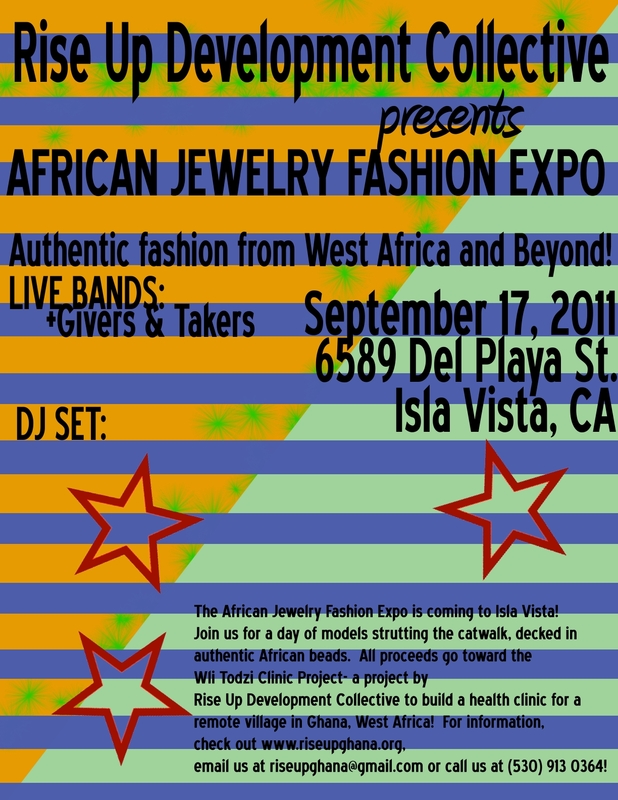 Join us for a day of models strutting the catwalk decked in authentic African beads and a night of celebration. This is an event designed to be enjoyed by the masses, where all proceeds go towards The Wli Todzi Clinic Project, by Rise Up Development Collective. The Wli Todzi Clinic Project is an effort to build a health clinic for a highly deserving village in the Volta Region of Ghana. All proceeds go directly towards the clinic. Come out for an awesome time. Just showing up shows support and is greatly appreciated, but we will also be selling authentic Ghanaian beads, accepting donations, and having a raffle. Donations can also be made online at our website anytime. Most importantly, we hope to see you there.